This is my adorable nephew (and his mom and dad). I love this photo! Did I mention he's adorable? He's also the cause of my current baby hunger. Ever since he was born (a year ago! ), I have wanted a baby. I have contemplated stealing Lucas, but thought better of it. Sigh. 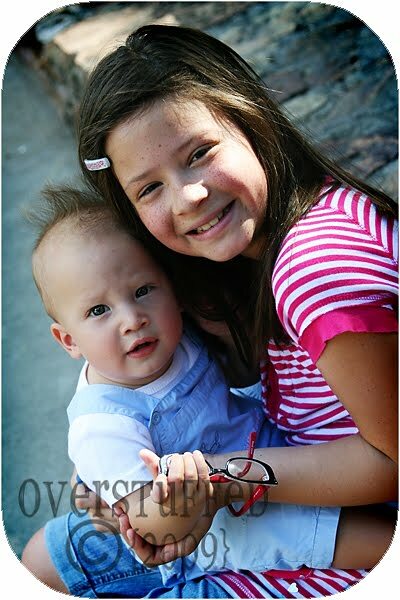 I did their photo shoot a couple weeks before we moved, and have just barely finished editing them all. I hope my sister-in-law can forgive me for being so slow. I had to approach it a little at a time rather than gulping the elephant down whole, and it took a lot of time that way. Joel was golfing while I was shooting this session, so I had all three girls with me. Which was totally fine since it was their cousins, and since they had a ton of space in which to run and play. And since they knew they were getting ice-cream at McDonald's when we were done if they were good. Bria was a huge help with the baby and getting the kids to smile during family shots. She's such a great kid. And this photo made me cry. And another one I did shortly before the move. I know what it's like to miss the cousins. We've been gone a year now, and I miss my sister and her kids so badly, I still cry sometimes. There must be some reason we moved here? But we do love it here.--Amanda B. Awesome pictures! The individual of Anne-Marie is INCREDIBLE! I think that baby Lucas looks so much like your Sophie. Sorry you're missing them. Cousins are so important to the family health! The more love a child gets the better!! I was always so grateful to have those Neves kids around for the girls. Nate's wedding was awesome to see their cousins on the other side. SO SO important!! That picture of the cousins in ascending order is beautiful! I bet it was hard for you to edit these, living so far away now. Are you going to advertise that you do photography in your town? Or just keep to the voice lessons? I need you to come take photos of my baby!! You've got serious talent, girl. And a heck of a cute family! Your photos are amazing! Love the cousin picture. We do not have any cousins nearby so I understand how you are feeling. It makes the times we all do get together that much more special. i can definately see a resemblance to your sophia there. Great photos! Too bad you can't take our family photos this year (should have snagged you before you left). Cousins are the best!! It makes me sad that Elodie doesn't get to grow up around my family and cousins....she has some great friends though and for that we are grateful! Oh my gosh! You could totally steal him and no would bat an eye if you told them that he was your son. He looks just like one of yours! Guilt you shall not have! I knew the timeline I signed up for when we did these my sweet Sister! But, I am so excited to have them. I adore them so. 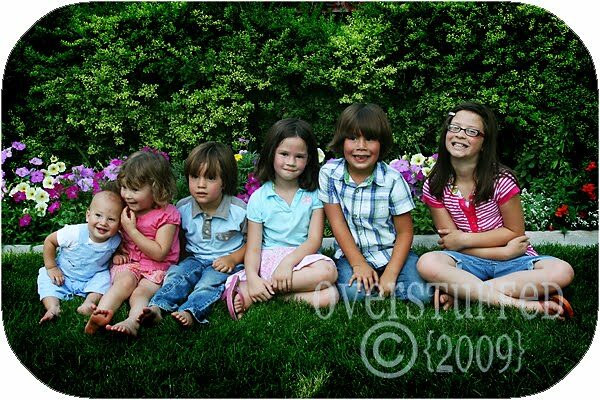 And the cousins picture (and bria/lucas) are making me cry too! How are we going to survive without you guys? Closer, that is. ...And yes commenters. Lucas looks like their baby. He really doesn't look quite like ours. We know. But, we sure love him. Just watch...you're going to get some fully latin baby with tons of black hair next...payback.